The algae are part of our everyday life. We are in contact with the algae’s byproduct all the time without being aware. They are part of our life, food, medicines, paint and our clothing. The algae are the source of many useful products. 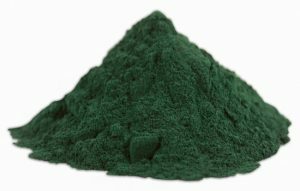 Spirulina algae is of a blue-green color, with spiral shape, that measures till one quarter of millimeter (250 microns) and quickly proliferates in shallow ponds. It lives principally in Stagnant and sulfurous waters. It grows and developed in environments with high Saline concentration (2 to 270 g of salt per water liter), Bicarbonate, with high pH (superior of 9) and tempered temperatures (25 to 35ºC), with good light availability. This little plant is part of the Cyanophytes family, which name it comes from the Latin word “Spiral” and it refers to the Physical configuration of this algae. The Spirulina is a descendant of the first kind of photosynthetic lives: the cyanobacteria (cyanophytes), that had been almost invariable despite time. The blue algae appeared 3500 millions of years ago, after the first methanogenic bacteria, and were the resposibles to make the present atmosphere with oxygen. 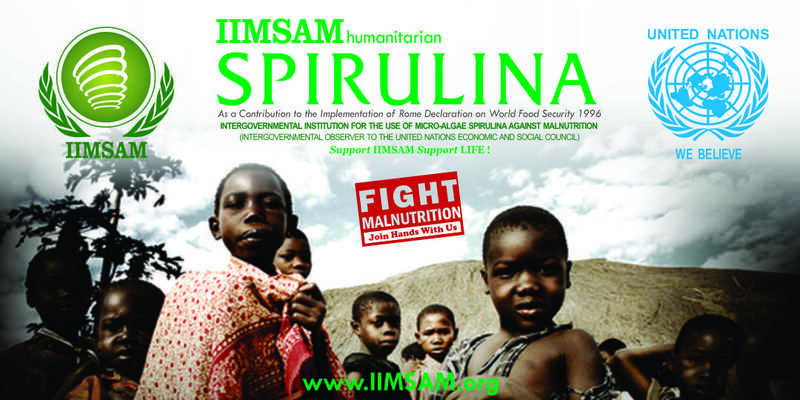 The Spirulina (arthrospira) developed in a natural way in many places, specially in Africa in the Chad lakes Bodou and Rombou, the Nakuru and Elmenteita lakes of Kenya, the Arangadi and Kilotes lakes of Ethiopia, also in Egypt, Sudan, Argelia, Congo, Zaire and Zambia. It can be found also in the tropical and subtropical Asia: India, Myanmar, Pakistan, Sri Lanka, China, Thailand and Russia, in America: Mexico (Texcoco lake), Peru, Uruguay, California, Argentina and in Europe: Spain, France, Hungary and Azerbaijan. 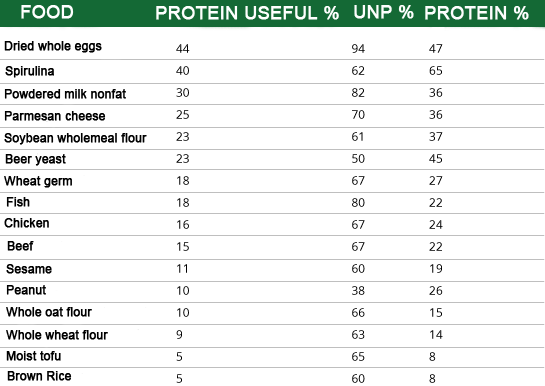 The amount of protein has to be multiplied per the net utilization of protein. According to this criterion, the spirulina occupies the second place after the egg, so, it is above all other foods.